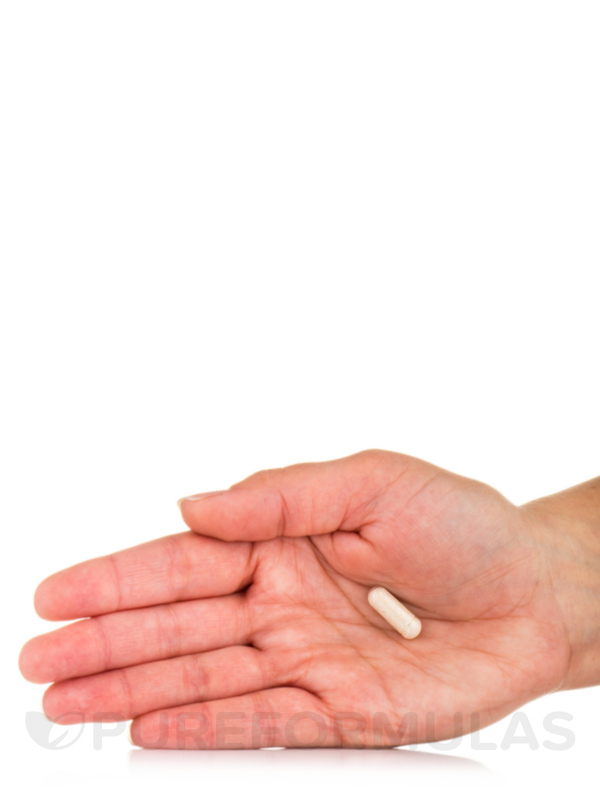 Little pill with lots of probiotics! 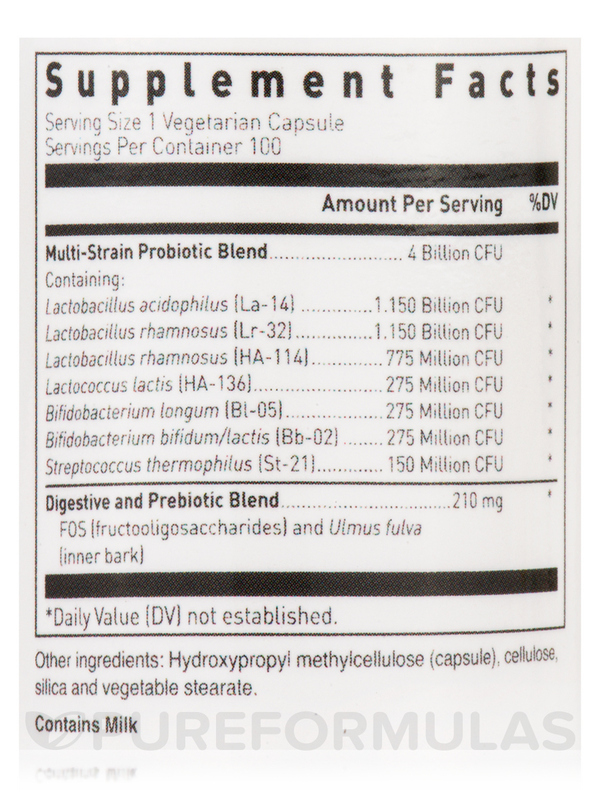 Multi-Probiotic 4000 by PureFormulas is easily digested. What are probiotics? A probiotic is a type of good bacteria that promotes balance in the intestines. They help your body digest the foods you eat comfortably. 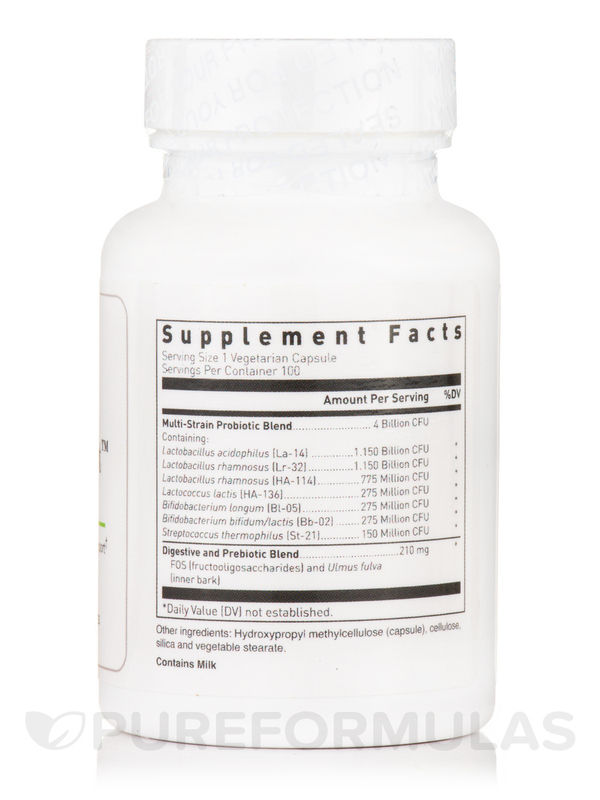 Most importantly‚ they support the absorption of nutrients essential to your overall health. Several factors may lead to a probiotic deficiency. One of the most common is taking antibiotics: while these medications can help you feel better‚ they kill off the good bacteria as well as the bad ones that make you sick. In that case‚ you need to boost your intake to rebalance the digestive flora. Yogurt tends to be a good source of probiotics. You can also find probiotics in convenient supplements. 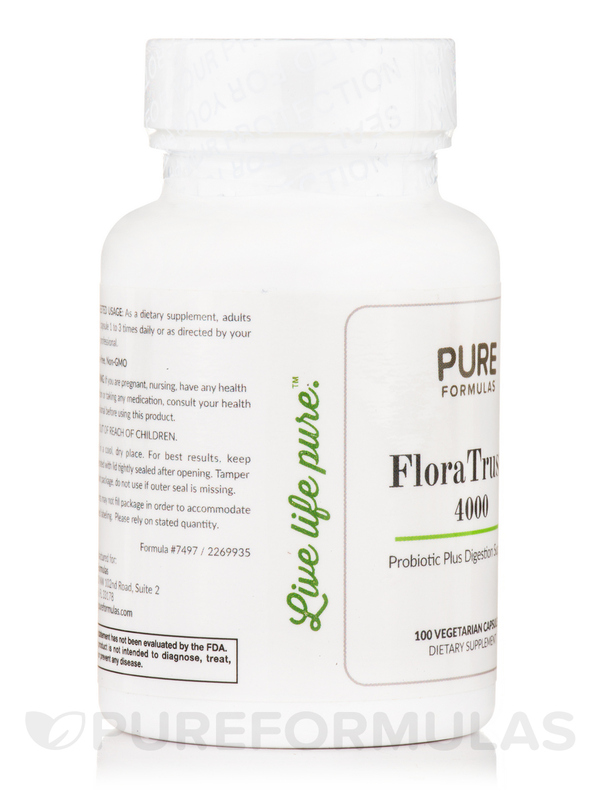 PureFormulas’ FloraTrust™ contains several essential strains in a prebiotic base that promotes bioavailability. Each capsule provides microorganisms like lactobacillus acidophilus and bifidobacterium longum. 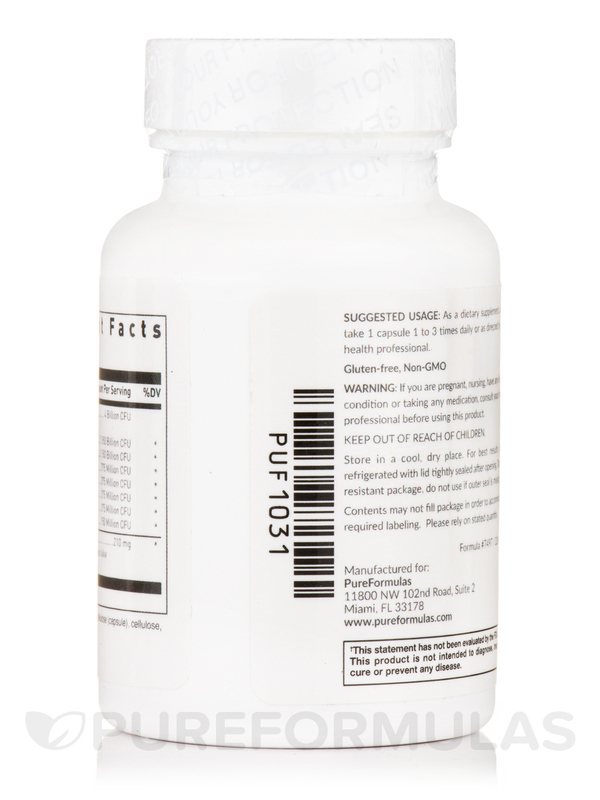 One bottle of FloraTrust™ by PureFormulas contains 100 capsules‚ which should last from one to three months at the recommended dosage. Take one capsule one to three times daily‚ unless otherwise directed by your doctor. Store all probiotic supplements in a cool‚ dry place away from direct light. Other Ingredients: Hydroxypropyl methylcellulose (capsule)‚ cellulose‚ silica and vegetable stearate. 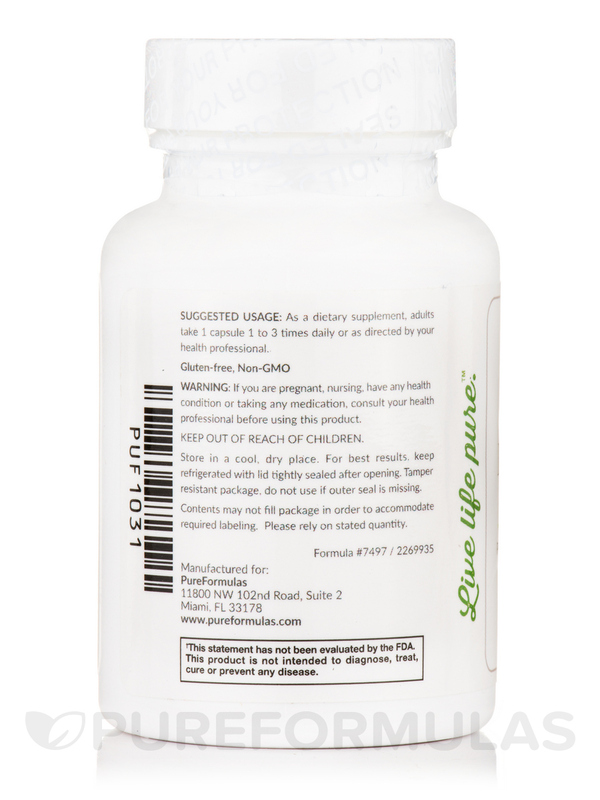 As a dietary supplement‚ adults take 1 capsule 1 to 3 times daily or as directed by your health professional. For best results‚ keep refrigerated with lid tightly sealed after opening. We needed to change to boost our pro-biotic due to digestive issues. This FloraTrust 4000 by PureFormulas is fabulous! Excellent multi-strain pro-biotic that is great for digestive health. 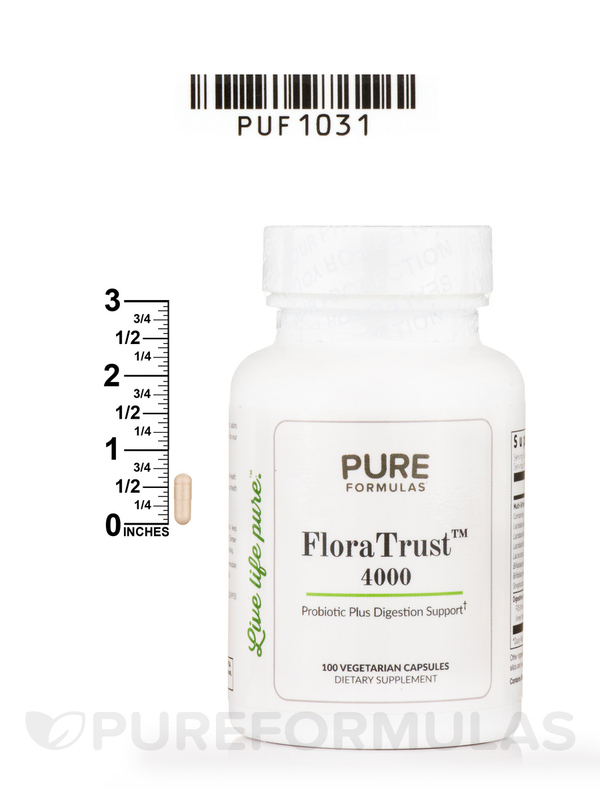 FloraTrust 4000 by PureFormulas is a comprehensive probiotic that helped my digestion. Another excellent product from PURE. My doctor suggested I increase / renew my digestive Flora. I researched what would be the best type and amount for my age and size. FloraTrust 4000 by PureFormulas has worked wonderfully. Easy to take and very convenient. I keep it refrigerated. Been taking FloraTrust 4000 by PureFormulas consistently before bed and works great to keep me regular! Has all the strains I was looking for! I was having a quick side-ache after each meal. By taking just one FloraTrust 4000 by PureFormulas each night, my problem is completely eradicated. I love that it works quickly and thoroughly. It is hard to travel with this brand, as well as any quality probiotic, in that it must be refrigerated. FloraTrust 4000 by PureFormulas seems to be working great! I take FloraTrust by PureFormulas one a day and I don't miss a beat! Easy on the stomach and keeps the "working order" in balance. 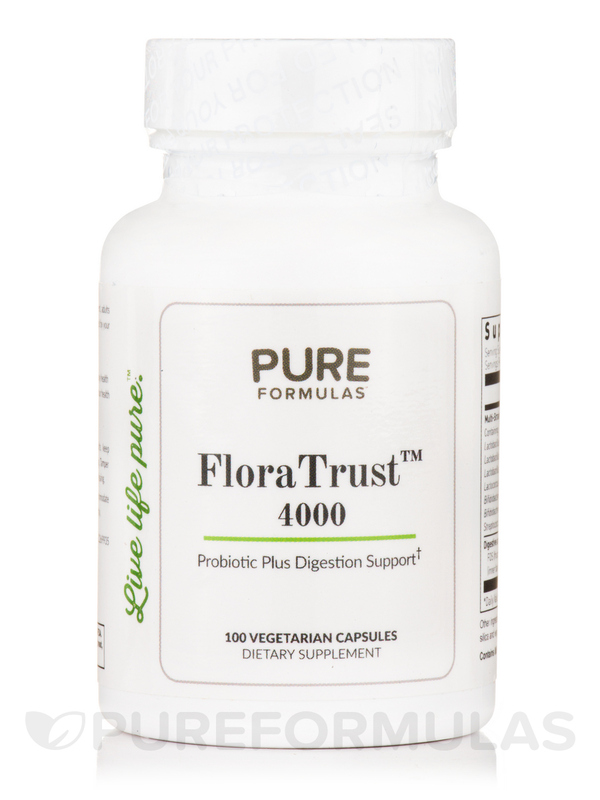 I use FloraTrust 4000 by PureFormulas to support my immune system and to help with digestion. This was my first time buying it and I am happy. FloraTrust by PureFormulas hasn't given me any discomfort and it is working. I can't get my heart burn acid reflex under control. My esophagus is definitely irritated. I do take papaya enzymes and apple cider vinegar but that really hurts my esophagus now. Any suggestions? 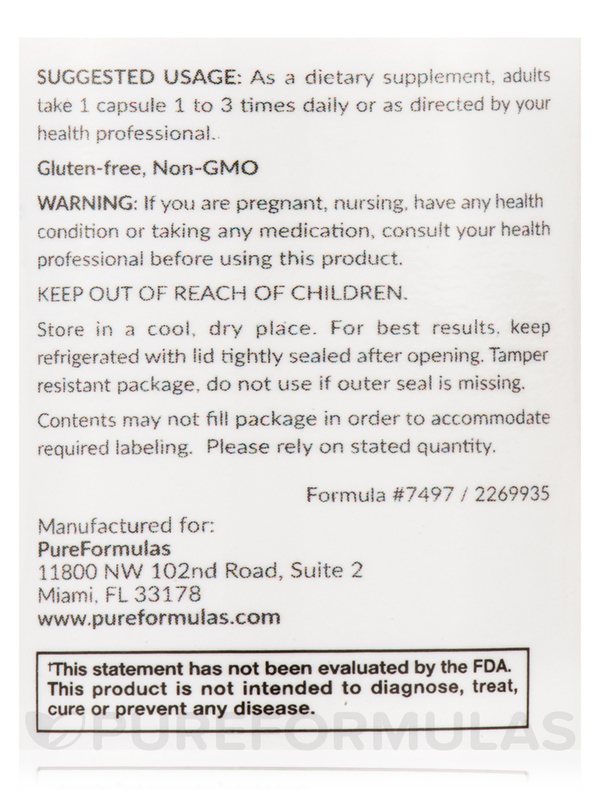 Hi Julie, yes this product does require to be refrigerated due to the fact that heat can affect the potency of the ingredients in the capsules.